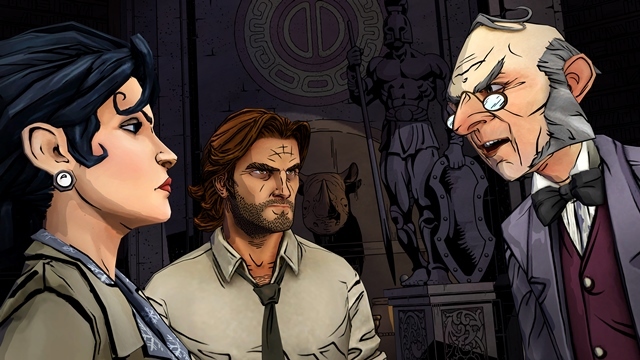 The Wolf Among Us Episode 1: Faith was developed and published by Telltale Games. It was released on October 11, 2013 for $4.99. 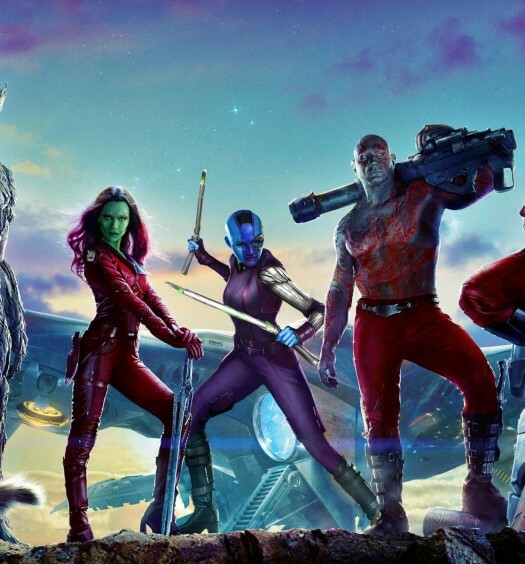 A copy was provided for review purposes. As it turns out, “ever after” in all those storybooks you read as a child wasn’t so ever after, after all. At least, not the part where it was supposed to be “happily” ever after, that is. 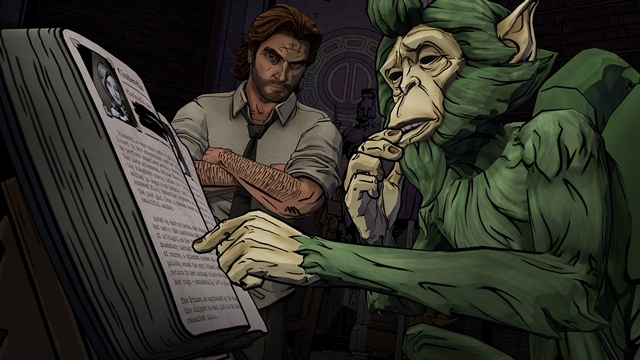 The tellers of tales over the ages actually did get the ever after part mostly right: the citizens of The Wolf Among Us’ Fabletown have lived so long that it might as well be rounded up to forever. And if the humans — or “mundys,” as the fables call them — they’re now sharing New York City with remember their tales from the old days well enough, the fables will keep on living forever, even if they’re struck by ostensibly fatal blows. Despite the best efforts of the local constable, however, there is precious little happiness to go around in Fabletown. Unlike in The Walking Dead: Season One, The Wolf Among Us: Faith doesn’t quite give Telltale the narrative freedom to carve out its own characters from formless blocks of wood like Geppeto at his workshop. The Big Bad Wolf (here going by Sheriff “Bigby” Wolf), Snow White, the Woodsman, Tweedles Dee and Dum and the rest are already established characters. With the first episode of its latest serial, Telltale spends more time playing Puppeteer Geppetto than it does Creator Geppetto. It pulls on those strings with aplomb, keeping every character as devoid of bliss as he or she is meant to be in grim Fabletown – it’s just too bad that Telltale doesn’t let the player do enough of the same. 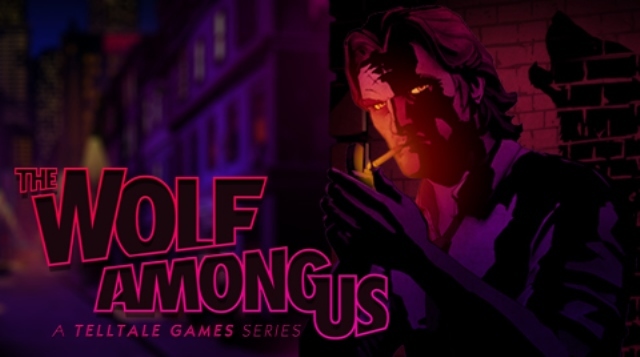 A classic whodunnit — The Wolf Among Us is a noir murder mystery, and the atmosphere feels almost perfect for such a thing. It has all the requisites down: the sarcastic pessimism, the lack of good lighting, the crappy office, the crappier apartment, the drinking and smoking, the private investigator, the frightened and beautiful woman needing your help — even the ominous music telling you how to feel. The shadowed characters passing ominously by in the background even make a brief appearance, seemingly purely for the sake of doing so. The cars place the game’s setting squarely in the ‘80s rather than the 1940s age of Hollywood noir films, but the vibe of those films has been successfully transplanted here nonetheless. Fabletown is a dangerous place, and for many of its inhabitants life is hopelessly long-lasting and lamentable. For Bigby, though, it’s just another day on the beat, and it’s a beat players are going to love walking. Rewriting history — The change in setting and characters, along with a few new control options, are the biggest differences between The Walking Dead Season One and The Wolf Among Us. In Faith, Bigby Wolf struggles with his identity: he believes that he must be big and bad to perform his thankless job, but he wants everyone to forget about the bad old days when he ate a whole lot of people because he was hungry and, well, wolves will be wolves. He still does bad things in Fabletown, but now he believes these new evils are necessary for protecting people; the sheriff does the best he can with the hand he’s been dealt. Wolf has even reversed roles with his old nemesis, the Woodsman, whose classic tale of saving Little Red Riding Hood from Wolf’s fangs may not be the tale of heroism it seems on the surface. And though Wolf now sees himself as fighting on the side of righteousness, Fabletown’s residents will teach him that, just as with the Woodsman’s fabled act of valor, that’s all a matter of perspective. “It’s everything we do” — This how Telltale’s review notes lay out the developer’s commitment to narrative. It’s not entirely accurate, as everyone’s Bigby Wolf is going to get in a number of scraps over the course of the game whether they want him to or not. Action sequences are unavoidable. This is a man beast who believes being big and bad is the only way to maintain some semblance of order while protecting and serving a community of near immortals, after all. 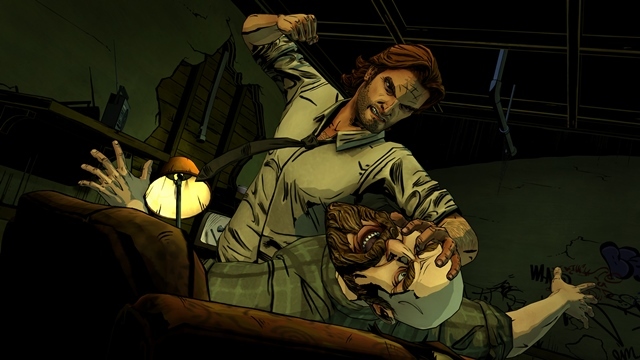 But in typical Telltale fashion, The Wolf Among Us‘ fight scenes serve only to move the game along to its next bit of narrative. Yes, sometimes Wolf will have to knock perps around a bit, but his real job here is to ask questions, and you’ll want to have him ask as many as the game will allow you to. There isn’t much players can do to stop people from fearing Wolf; that is his fate here. However, since 1933 a song has been sung asking “who” felt that fear, and now your choice of words and actions will have some impact on finally answering that one question, at least. Agent of the law, not of the narrative — There are many choices to be made by the player throughout this first episode of The Wolf Among Us, as is par for the course in a Telltale game. Sadly, most of these choices are meaningless in the long run. Making different speech choices has the potential to elicit a different line or two of dialogue from the NPCs. Playing through the episode a second time and making different choices, however, elucidates the unfortunate reality that – save a single Door Number One or Door Number Two choice with admittedly interesting ramifications – players can no more change the fates of Sheriff Wolf and those under his jurisdiction than could readers of the fables these characters were once constrained to. It would be easy to chalk this one up to Telltale building towards later episodes in the season and overlook it, but like a football team that can only play the team on its schedule on any given Sunday, a games critic can only review the playable placed before him. 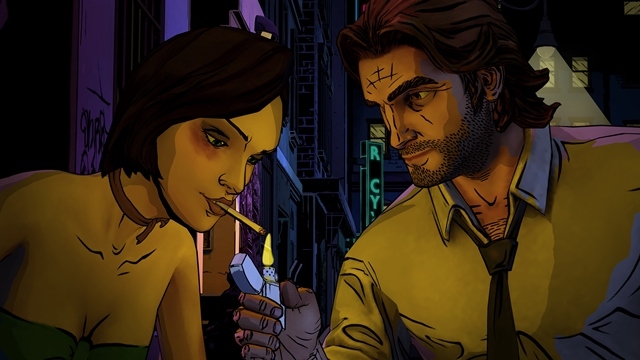 It was impossible not to fall for Telltale’s last serial, and though the studio has made few advancements to the formula since then, the same is true of The Wolf Among Us. Though developments in future episodes could potentially correct the biggest issue here, play-style usually doesn’t matter in Faith as much as one would like it to. 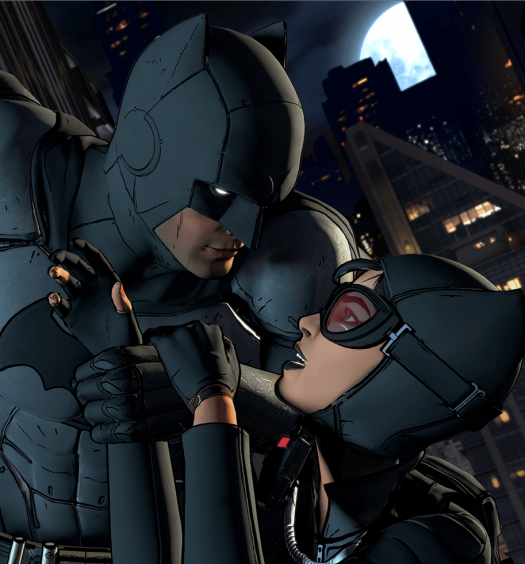 Telltale doesn’t let players’ actions answer the question it asks them: is it better to be feared or to be loved? Your actions, regardless of what they are, will elicit the same answer. You will be feared, and you will love it.